Fohloza was started by two sisters Nondumiso and Hazel from Uitenhage where they started singing in church at a young age and continued to throughout their youth singing at weddings and various private functions in Uitenhage and surrounds. During that time they formed a group with some of the best known singers Sylvester Funani, Zwai Bala, Mnoneleli Melani called Forever Friends. Wendy and Nondumiso attended a performing arts school and toured the country with the play ‘Behind Closed Doors’ which was also staged at the National Arts Festival in Grahamstown. The sisters left the Eastern Cape in search of stardom in Johannesburg. Whilst in Johannesburg they were scouted by Kwaito group Trompies and invited to feature in their video for their hit track ‘Fohloza’ and that was he birth of their stage name. From there was no stopping the group who were booked for appearances on popular TV shows such as Backstage; Generations. 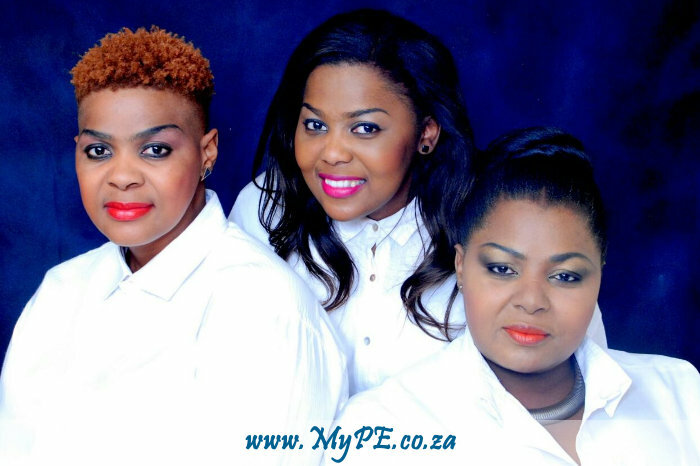 They were invited on TV and radio talk shows such as the Felicia Mabuza Show and popular youth radio station YFM. From there Fohloza began working as backing vocalists for acclaimed artists Mirriam Makeba; Hugh Masekela, Brenda Fassie, Lebo Mathosa and Zwai Bala. Mdu Masilela signed Fohloza under his recording company Holla Music Entertainment and released their debut album ‘Sinqobile’ which had an Afro Jazz feel. With that album many doors were opened to them and were afforded the chance to perform at the Macufe Festival in Bloemfontein and even shared the stage with American RnB superstar Eric Benet. After nearly a decade in Johannesburg, Fohloza returned to Uitenhage to work on their new sound and Gospel music material. In 2008 Fohloza were invited to be part of the line up of the Summer Season held at Hobie Beach sharing the stage with the likes of Jaziel Brothers. In 2010 Fohloza shared the stage with HHP at the opening of the Nelson Mandela Bay stadium. Also in 2010, they were part of the Human Day Rights celebrations and also performed at the Fan Parks during the 2010 FIFA World Cup. Towards the latter stages of 2010 they decided to strengthen their group by adding their younger sister Nomphelo to the group. Fohloza count performing at the Nelson Mandela Bay International Music Festival in 2011 as one of their biggest highlights. In une 2012 Fohloza launched their much anticipated debut album ‘Buyel’ekhaya’ at the Barn Theatre. Fohloza are very connected to their community and continue with their outreach work when not performing. Join Wendy, Nomphelo and Nondumiso this Sunday at the Barn Theatre PE Opera House from 17:00 and prepare to be moved by their soulful set!